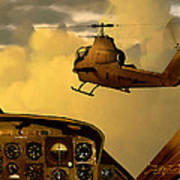 The U.S. Army AH-1G model "Cobra" attack helicopter as seen from the cockpit of a UH-1H "Huey" (also called the "Iroquois") utility helicopter. 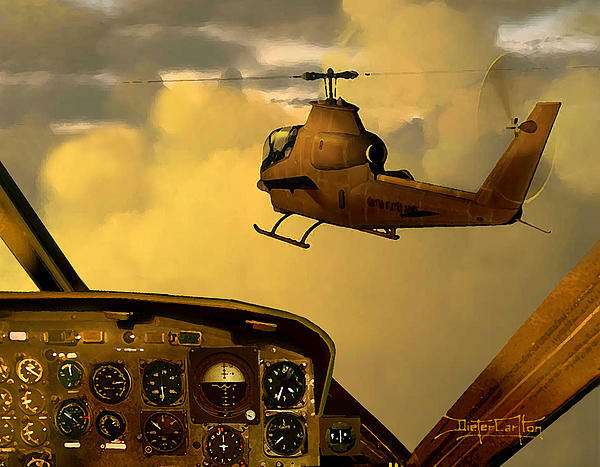 The instrumentation accurately depicts the formation in a 500 fpm climb through 3,500 feet ASL. 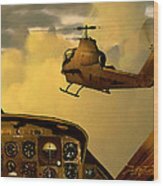 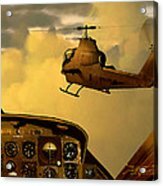 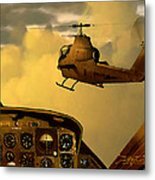 Acrylic on matte by Dieter Carlton, himself a former U.S. Army combat helicopter pilot.